Jean Madeline Supports Women In Recovery with a "Day of Beauty"
Jean Madeline Aveda Institute students hosted a "Day of Beauty" for Libertae residents. At Jean Madeline Aveda Institute giving back to our community is a responsibility we embrace and encourage amongst our students. Our commitment to creating exceptional experiences extends well beyond the classroom to helping build a strong community and benefiting those who need it most. We are proud to support our local communities with our services, products and time. 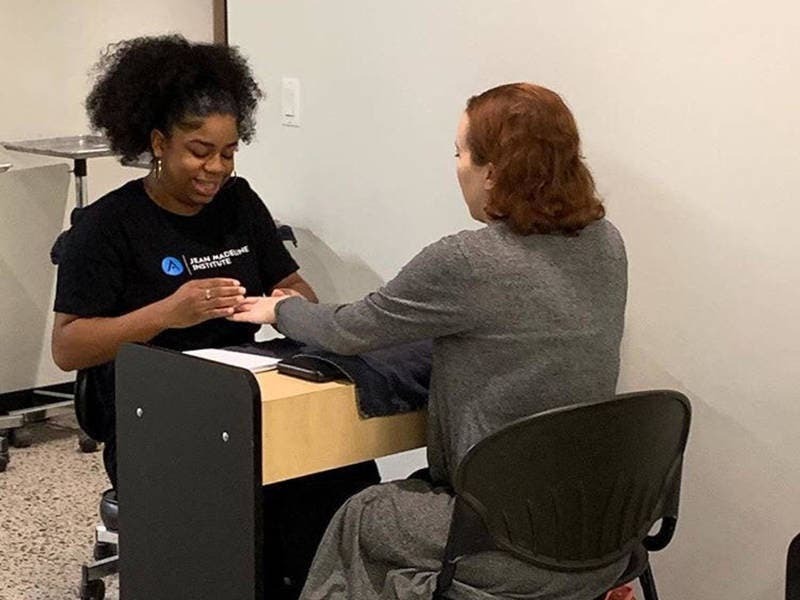 Most recently, a group of students from the Jean Madeline Aveda Institute at Neshaminy Mall, hosted a "Day of Beauty" for residents of Libertae, a residential program that helps and houses women recovering from addiction by empowering them to reclaim their lives. Over 40 Libertae residents received free facials, makeup, haircuts, blow dries and manicures at the Institute. Refreshments were served and raffle baskets were handed out during the two-day event. Samantha Wilson, the event's coordinator and a Jean Madeline educator said "Giving back is an essential life tool, and it's important our students learn and experience that. Being able to provide makeovers on these women was really powerful and emotional on both our students and residents. Most of the residents had never experienced some of the services they received, and the amount of gratitude for it was endless." To learn more about the event, read the full article here. Learn more about Libertae and their mission to maintain recovery through comprehensive treatment programs here.